Our goal is to bring health and a smile to each client's face, from the very first visit. The mission of Feng Yang TCM and Wu Healing Center at the Taoist Institute of TCM Inc is to educate, inspire and empower people to take control of their own Health and Wellbeing. Our world class TCM, Tai Chi and Qi Gong practitioners focus on empowering Chi, enhancing health and healing the mind, body and spirit of our clients using diverse bodywork therapies. Provide long distance Taoist TCM educational class for family to heal each other and spread Taoist Chinese Medicine to the world. Tai chi (taiji) is an internal Chinese martial art practiced for both its defense training and its health benefits. The term Tai Chi refers to a philosophy of the forces of yin and yang, related to the moves. Though originally conceived as a martial art, it is also typically practiced for a variety of other personal reasons: competitive wrestling in the format of pushing hands (tui shou), demonstration competitions and achieving greater longevity. --Wikipedia, learn more. Learn about the history of Yang style Tai Chi, here. View our in-person class schedule, here. For those who can not come to our classes, we offer teaching videos of Fengyang Tai Chi — Dr. Wu will guide you through all the individual Tai Chi movements and forms through high quality and detailed instructional videos. You will cultivate inner peace and calm through the slow movements of Tai Chi. Qigong is a holistic system of coordinated body posture and movement, breathing, and meditation used in the belief that it promotes health, spirituality, and martial arts training. With roots in Chinese medicine, philosophy, and martial arts, qigong is traditionally viewed as a practice to cultivate and balance qi (chi), translated as "life energy". -- Wikipedia, learn more. You can have a Fengyang TCM certified practitioner personally design an effective herbal supplementation plan just for you. Tui na is a form of Chinese manipulative therapy. Tui na is a hands-on body treatment that uses Chinese taoist principles in an effort to bring the eight principles of Traditional Chinese Medicine (TCM) into balance. The practitioner may brush, knead, roll, press, and rub the areas between each of the joints, known as the eight gates, to attempt to open the body's defensive chi (Wei Qi) and get the energy moving in the meridians and the muscles. Techniques may be gentle or quite firm. The name comes from two of the actions: tui means "to push" and na means "to lift and squeeze." Other strokes include shaking and tapotement. [The practitioner can then use range of motion, traction, with the stimulation of acupressure points. These techniques are claimed to aid in the treatment of both acute and chronic musculoskeletal conditions, as well as many non-musculoskeletal conditions. -Wikipedia, learn more. Cupping therapy is an ancient form of alternative medicine in which a therapist puts special cups on your skin for a few minutes to create suction. People get it for many purposes, including to help with pain, inflammation, blood flow, relaxation and well-being, and as a type of deep-tissue massage. -- Web MD, learn more. To make an appointment for acupuncture service in Maynard, MA, please call John Choi, L.Ac. at 617-953-4988, or Wendy Tian, L.Ac. at 617-816-3698. To make an appointment for acupuncture service in West Hartford, CT, please call Karen Borla, L.Ac. at 860-523-9424. Wu Healing offers quantum energy healing sessions using Green Rhyme Cell Physiotherapy. The high-tech Green Rhyme Cell Physiotherapy instrument emits terahertz waves guided with quantum technology that can penetrate the body up to 12 inches. This can activate dormant human cells, repair damaged cells, liquify abnormal cells, remove free radicals and activate the body's self-healing power from the inside out. Visit the SHOP to purchase consultation time with Dr. Wu. What is Fengyang Taoist Chinese Medicine? Fengyang Chinese Medicine is a complete system of holistic healing. It is comprised of many parts which all work together as equal parts of a whole; none of them are separate from the another. All of these have been handed down practitioner to practitioner for more than 1,750 years — all the way back to Dong Feng himself in 220 AD. The ancient methods are still practiced today. All parts of the Fengyang TCM system have long since been refined down to a science, and perfected. Dong Feng was the founder of the Fengyang Chinese Medicine system. Dong Feng himself was said to have lived to over 300 years old. This may just be an old folk tale, but it is very possible he knew practices which were able to greatly improve his health and longevity. Dong Feng lived in Fengyang city, China during the “Three Kingdoms” period (220-280 AD). There he freely shared many of his powerful secrets on improving personal health and curing diseases with the locals, as many of them were sick and poor. Since the people about him were poor, Dong Feng did not charge for treatment. However every patient he cured was asked to plant apricot trees next to his house (to sell the fruits and increase their income). A few years later over 100,000 apricot trees were planted in Fengyang, and the apricot tree woods on Lu Mountain still exist to this day. During the Three Kingdoms period (220-280 AD), Dong Feng’s powerful methods were well known in the Fengyang area. They were based on Feng’s deep medical knowledge, ancient Taoist teachings and Zen Buddhism practices. They remained widespread until the Ming Dynasty, many centuries later. After the fall of the Ming Dynasty in 1644, the rulers of the new Qing Dynasty tightened their grip on Fengyang to prevent rebellion. Due to political reasons, people could only practice Dong Feng’s methods in secret. Towards the end of the Qing Dynasty (early 1900-1910’s), almost everyone in Fengyang forgot how to practice Dong Feng’s ancient healing methods. The practice was almost entirely destroyed. 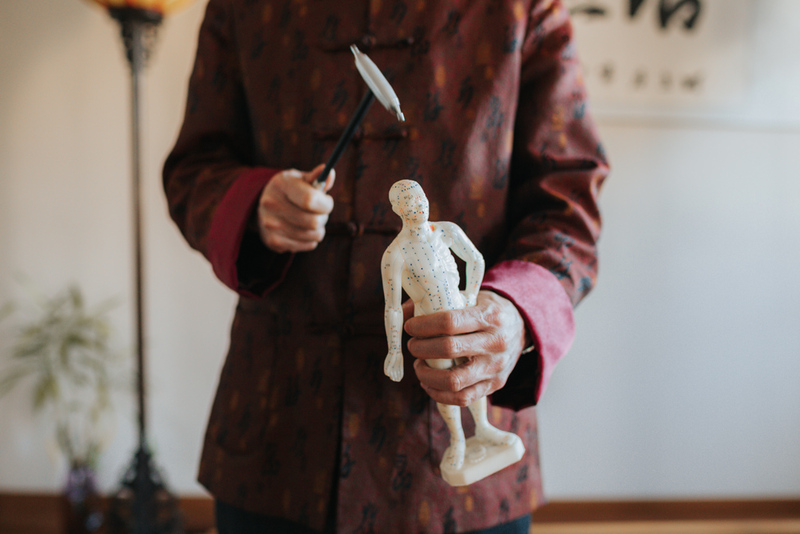 Dong Feng’s ancient practices and secret medicines have been passed down through traditional apprenticeship for 1,750 years. Ming Wu’s father, Muqing Wu, was a 19th generation practitioner of Fengyang Medicine. That makes Dr. Wu the 20th generation.